At Ground Solutions, we firmly believe in Integrated Pest Management (IPM) to help sustain our environment. 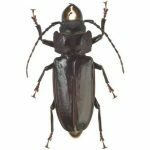 We understand that most insects are beneficial, and only a small percentage are a problem, so our exterior pest applications are directed only to the problem areas rather than power spray the entire landscape which decimates the population of beneficial insects needed to sustain the environment. Instead, we concentrate our applications on where they live – Cracks and crevice, around and under structures, Eaves of homes, expansion joints where patio or driveway meets the home, base of structure foundation, crawl spaces Firewood storage, pool equipment, equipment storage areas, bases and columns of walls and fences. These are the areas that the problem pest live and thrive, and are the areas we focus on. In our opinion, more pesticide applied is not better instead choosing the particular pesticide for the pest that you are having a problem with will be applied. This method provides better control with less insecticide used. Ground Solutions only use the latest LOW usage rate pesticides rather than the cheaper high use rate ones that do not work as well and do more damage than the specialized chemistries. 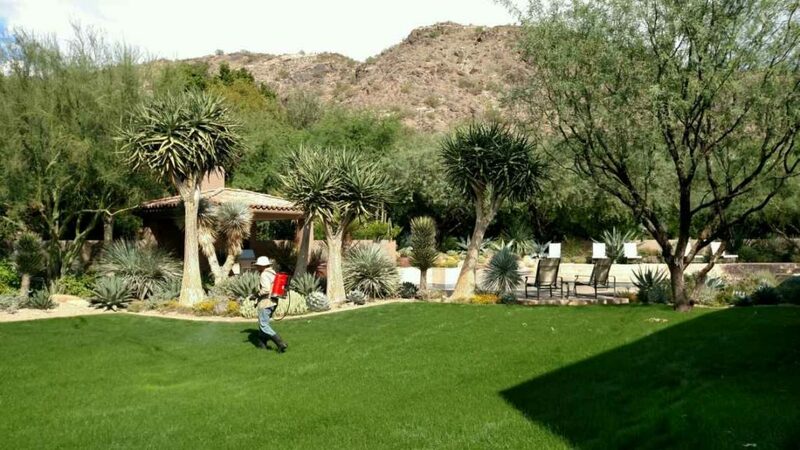 Ground Solutions, a reputable pest control company based in Phoenix, offers exterior power spray applications for the control of scorpions and general pests to commercial and residential customers. Ground Solutions can incorporate the service into our weed control bi-annual visits and offer excellent pricing and control. 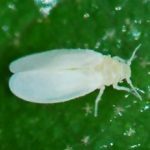 Ground Solutions Control all of these pests without harming the plant or tree that has being attacked with a combination of contact and systemic insecticides. Our well trained applicators will treating all landscape plantings and turf as a preventive maintenance is an excellent program to protect your landscape investment. 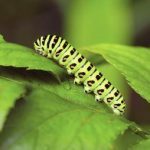 Do not need to apply pesticides inside your home! Why Choose Ground Solutions Pest Control? Arizona State Licensed with 20+ year experience. Industry highest customer retention rate. All applicators are licensed, well trained and experienced! Serve commercial, residential and industrial customer in all sizes! 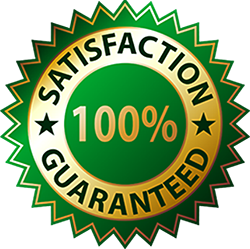 Professional services that are guaranteed and satisfied! Free quote over the phone and online form! Combine the pest control service with your bi-annual weed control and we offer significant discounts since we are already on site. Trees, shrubs and turf are susceptible to illness and damage from harmful pests. When some or all trees or shrubs begin to show signs of stress, then the chances are that they have been attacked by pests, disease or fungi. 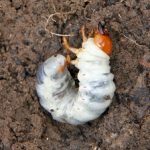 Ground Solutions Pest Control specialist in Phoenix can identify, treat and control the problem to restore them to their healthy condition. Combining our tree spraying services, Ground Solutions can save your landscape plantings at a small fraction of the cost of removal and replacement. Aphids, Bark Borers, Root Borers, Mites, Whiteflies, Grubs, Caterpillars, and many others. 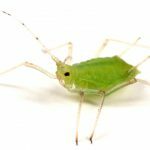 Ground Solutions’ exterior pest control services cover all Phoenix metro area such as Paradise Valley, Peoria, Scottsdale, Glendale, Sun City, Carefree, Chandler, Gilbert, Tempe and so on. 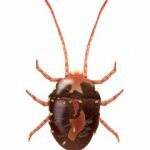 Our pest control service in Phoenix will cover the following zipcode: 85001, 85002, 85003, 85004, 85005, 85006, 85007, 85008, 85009, 85010, 85011, 85012, 85013, 85014, 85015, 85016, 85017, 85018, 85019, 85020, 85021, 85022, 85023, 85024, 85025, 85026, 85027, 85028, 85029, 85030, 85031, 85032, 85033, 85034, 85035, 85036, 85037, 85038, 85039, 85040, 85041, 85043, 85044, 85045, 85046, 85048, 85050, 85051, 85053, 85054, 85055, 85060, 85061, 85062, 85063, 85064, 85065, 85066, 85067, 85068, 85069, 85070, 85071, 85072, 85073, 85074, 85075, 85076, 85077, 85078, 85079, 85080, 85082, 85085, 85097, 85098, 85099.